The Karen National Liberation Army (KNLA) and the Democratic Karen Benevolent Army (DKBA) will hold a joint Military Parade for the first time to mark the 65th anniversary of the Karen Revolution Day on Friday January 31. Saw Moshay, the DKBA’s deputy chief-of-staff told Karen News that the joint parade would be held at the KNLA’s 7th Brigade headquarters that is in the KNU controlled area in Hpa-an district. Saw Moshay said the event is as a symbol of co-operation between the two Karen armed groups. Saw Moshay added that the parade was important factor that would foster better relations between the two Karen groups. P’Doh Saw Aung Maung Aye, chairperson of the KNU’s Hpa-an district said that Karen Revolution Day marked an important time for ethnic unity. Approximately 30 troops from the DKBA and around another 100 soldiers from the KNLA will march in the parade, KNU sources said. 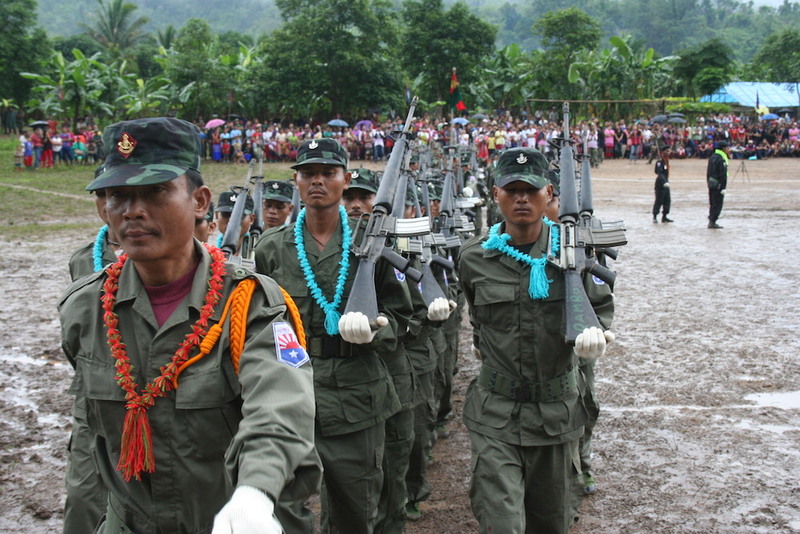 In what was huge tactical blow to the KNU at the time, the Democratic Karen Benevolent Army, formerly known as the Democratic Karen Buddhist Army, split from the Karen National Union (KNU) in 1994.